What if your pizza was able to deliver itself? Sounds like something out an episode of The Jetsons, right? That means no ringing doorbell, no tip for the driver, and just a text to let you know to step out. That is the scenario Domino’s Pizza and automaker Ford have envisioned. Together they have cooked up the idea of pizza delivered solely by driverless cars. This project starts soon, Wednesday August 30th, 2017 at Domino’s hometown of Ann Arbor, MI. Pizzas will be delivered via a Ford Fusion fully equipped with all the radars and a cameras needed for self-driving tests. As a precaution, there will be a Ford engineer behind the wheel. However the windows are tinted so customers won’t see or interact with the driver. The Detroit automaker and the Ann Arbor pizza franchise have teamed up to test self-driving pizza delivery cars in their home state of Michigan. That in and of itself is big news but it is also part of an effort to help get a stronger grasp of how people would respond to and interact with autonomous vehicles. Specifically how they will react regarding commercial use. 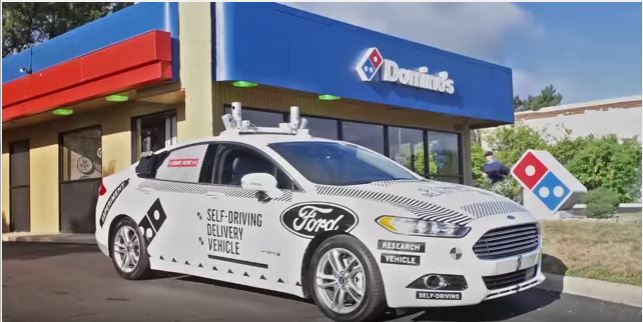 In the weeks following the launch Domino’s will randomly select several customers in Ann Arbor for the option to accept pizza deliveries from a Ford Fusion Hybrid autonomous research vehicle. The car will be driving itself BUT not only will the aforementioned Ford safety engineer be onboard, there will also be other researchers onboard. They are meant to zero in on the last 50 feet of the customer experience. Sherif Marakby is the Vice President of Ford Autonomous Vehicles and Electrification. He told the press that the entire test is more about ethnographic research than delivery efficiency. The goal is not about removing remove the driver completely. It’s more about figuring out how pedestrians react to driverless cars because they see the tech as not quite street-ready. If you have been selected for the self-driving delivery option, you can track their order through a Domino’s app. There will be a code that unlocks what Domino’s refers to as the “Heatwave Bag” — the trademarked container that keeps Domino’s pizzas warm in the back of the car for longer deliveries. 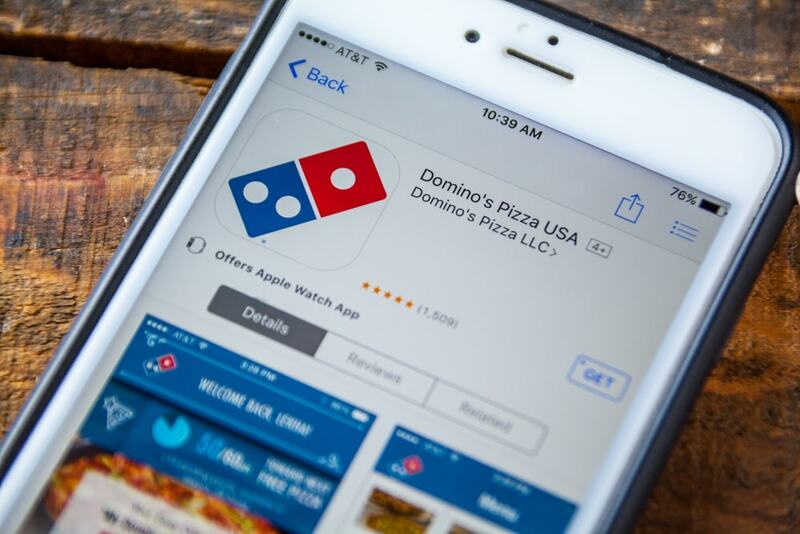 Domino’s will see if people are willing to come outside to pick up their orders. That’s different than what Ford wants. Ford wants to know as well: how people approach the car, and how they interact with the screen outside of the vehicle to get their food. Is the Key to Ford Mobility… Pizza Delivery? Marakby told the press that this is only the start of multiple partnership between Ford and other companies. They are steadily increasing autonomous vehicle testing. Ford, like their competitors, is investing so much in autonomous self-driving technology. Since their the Detroit Auto Show announcements, Ford has their eyes on the year 2021. That’s when they plan for full self-driving cars on the civilian market. This year, Ford told Bloomberg that they are plan to spend $1 billion in Argo AI, an artificial intelligence startup. Meanwhile Domino’s has experimented with different delivery technologies, some they use as marketing gimmicks. It does not matter how you feel about that or their pizza. They were the first company to try a Siri-like digital assistant that can receive orders before deploying delivery robots. Ford and Domino’s may seem like an odd coupling. Perhaps beginning with something as universal as food delivery is integral. This might get most skeptics on board the idea self-driving cars on the road.